Pet insurance is good plan for helping pay certain veterinary costs. Pet insurance is private insurance coverage offered by a number of insurance companies it covers veterinary costs, in a similar way that health insurance covers medical costs for people. If you are doing research into which pet insurance to buy it can be confusing to figure out which plan is the best. 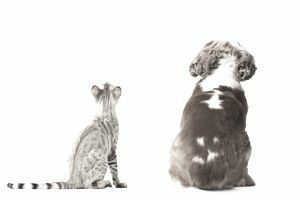 Here are the top 10 questions to ask when buying pet insurance to help you identify if you will be happy with the plan you are looking into and if it is worth it. 1. Am I Looking For a Pet Health Discount Plan or a Comprehensive Insurance Plan? These can differ. With discount fee plans one would pay an annual fee and get discounted veterinarian and related pet services. A pet health insurance plan would look similar to health insurance for people. 2. Will I Get to Choose My Veterinarian? Different plans have different rules. Check to see if your vet is included as a provider for the pet insurance you are interested in. 3. What Are the Waiting Periods? Like all insurance, there may be a waiting period in order for the policy to take effect and it is important to be aware of exactly when your policy coverage starts and ends. Pet insurance exclusions can vary. Common exclusions are pre-existing conditions and hereditary defects. Coverages for common exclusions may sometimes be covered at an additional cost. 5. Will Routine Wellness Care Be Covered? If you are looking for a comprehensive policy then ask if it covers routine visits such as immunizations, dental care, and heartworm testing. 6. Is Neutering or Spaying Covered on Pet Insurance? Spaying and neutering coverage is great to have since most pet owners use this service. This is not included in basic illness and accident pet insurance programs but instead is available in some wellness and preventative care pet insurance plans. Since the cost of these services is expected to be covered on the plans, spaying or neutering insurance is more expensive than a basic accident and injury policy. 7. Does It Include Prescription Coverage? Prescription coverage is just as important since technology and care for pets is increasing, the possibility your pet will need a prescription medication is probable, and like all prescriptions, they can sometimes be costly. 8. Do I Have to Pay a Deductible? Just like human health insurance, different plans require different deductibles. The deductible is what you pay first before services are rendered so you will want to find a plan that carries a deductible that is affordable to you. Remember though, that the smaller the deductible the higher the premium, so you can reduce your insurance cost if you take a higher deductible by sharing a larger part of the cost with the insurance company during a claim. 9. Are There Any Illness or Incident Caps? Usually, in pet insurance, there will be various "caps" or limits on how much the insurance company will pay for a specific incident. For example, a broken leg may have a different cap than spaying, be sure and ask about what the policy limits are. 10. Is the Company Reputable and Providing Me With All My Answers? There are several online sites where you can research reviews from pet owners and the pet insurance plans they use. They can be really useful in helping you make your decision, but also to give you an idea of coverages you are looking for, or potential exclusions that would be a problem for you. If you want to compare policies in one place, you can check out the online marketplace called Pawbamacare which is a marketplace for pet insurance so you can do some research on one site. Make sure you feel comfortable with the company you are interested in. Since they will be handling your claims, it is important you are choosing a company that is willing to answer your questions thoroughly, as this will give you insight on how they will handle your future policy. Also, make sure the company is reputable. If you still have questions, reading our next article on pet insurance which goes into more details on the coverage options, including 7 Questions To Help You Decide If You Need Pet Insurance & What It Covers.